Dismantling and disposing of your old garden shed is an inevitable task when buying a new shed. 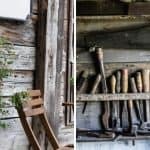 Each garden building is built differently, but if you follow these general rules of thumb, you can dismantle any shed as easily and as stress-free as possible. 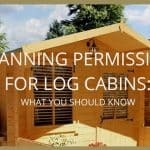 You will probably be dismantling your shed to replace it with a new unit, but you may also be relocating and want to take your existing shed with you. If it is a fairly new shed which you are dismantling, you shouldn’t come across any major issues. 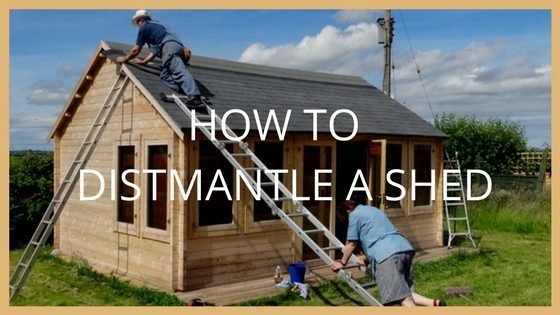 However, if your shed is starting to fall apart or rot, it’s important to dismantle it safely. You may stumble across some problems along the way. Firstly, access the overall condition of the shed. If there are any obvious hazards, try to remove those first. Now, you can get started on dismantling the building itself. Take note, It’s always helpful to have an extra pair of hands when dismantling a shed. You shouldn’t attempt to remove heavy sections such as the roof by yourself. First of all, start by removing the shed’s windows and doors. You can avoid any potential problems such as a door falling on a window and causing broken glass, by making sure the windows are removed before dismantling. Use a crowbar to levy the window frames and door. Apply pressure to the frame with the crowbar and it should be straightforward to remove. 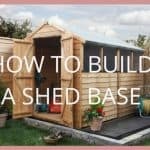 Take glass away from the area you are dismantling the shed so it doesn’t get broken in the process. This is the largest part of the shed which could have rotted in parts. Remove the roofing felt or shingles first. 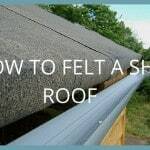 If the roof is made of shingles, they may be brittle and stuck together so will tear when removed. Strip the roof down and use either a screwdriver or crowbar to take off any fasteners or loose screws. Once you have stripped the roof down to the bare wood, remove any remaining nails which are holding the roof to the trusses or walls. Be careful the walls of the shed don’t immediately fall down when taking the roof off. You will probably have to dismantle it n pieces as it will be attached in various places. The last stage in taking down a shed is removing the walls from each other and the floor. You may need temporary timber support which can be dug into the ground while you carry out this process. A wooden shed is usually put together with nails inside the shed holding the corners together and to the floor. There will be more nails from the outside holding the structure firmly in place. Start from the outside, removing the nails and then work your way inwards. If your newer shed is going to be rebuilt, use a claw hammer to carefully remove screws and nails. Also be more gentle in pulling apart the walls to ensure no damage occurs when dismantling. Take a look at our fantastic range of sheds which are the perfect replacement to an old and dilapidated garden shed! 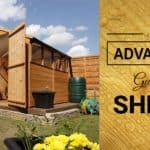 For more information about all things sheds, check out our Advanced Guide to Sheds which covers how to apply treatment to your shed, insulation and so much more!